Troy Bush became the senior pastor of Rehoboth in April 2012. Rehoboth had experienced a season of declining ministry, and he is leading this great church to reorganize and revitalize its ministries. In 2013, Rehoboth relaunched with a new vision to reach and serve our community and the world. Pastor Troy is leading Rehoboth to proclaim and display the gospel of Jesus to all generations and all nations from Atlanta to the world. The good news (gospel) of Jesus is the transforming message of what God had done for us through Jesus Christ. Through His death and resurrection, we can receive the greatest gift of God, but doing things for God or turning away from certain vices won’t get us closer to Him. The good news is that when we accept what God has done for us in Jesus, we can experience a new beginning and an amazing life with Him. Troy and his beautiful wife Tina have three amazing children: JD, Caleb, and Sarah. Children and family are important to them, and with one at GA Tech and another at UGA, they love Georgia football, baseball, basketball, etc! Troy received a Ph.D, from the Southern Baptist Theological Seminary and has served on faculty at Southern Seminary, teaching Urban Ministry and Missions. 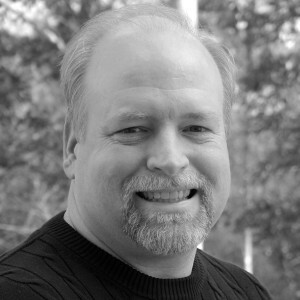 He has written a number of articles and training resources for urban ministry and missions. He and his family also served in Moscow, Russia, and he has done urban ministry and church planting in several cities in the U.S. and around the world.